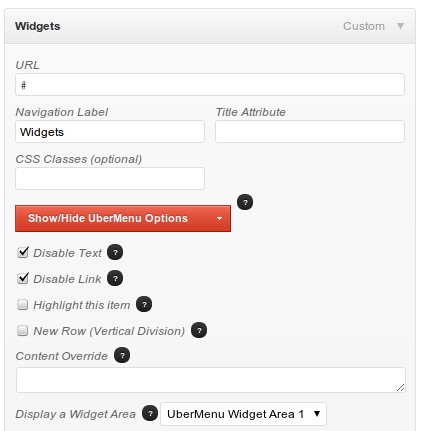 UberMenu provides an unlimited number of Widget Areas. To activate widget areas for use, set how many you want to have via Appearance > UberMenu > Descriptions, Shortcodes, Widgets > Number of Sidebars. You can always increase this later. 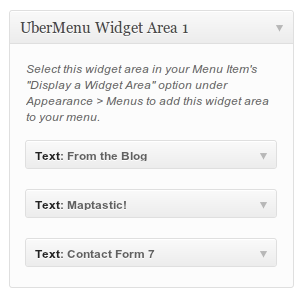 Now UberMenu will load the Widget Area into your Menu. You can update the Widgets in the future without needing to change the Menu again.